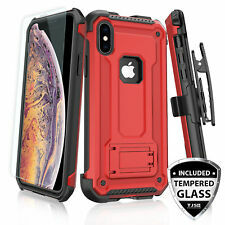 IPhone XS Max (6.5")HARD RUBBER PREMIUM GUMMY CASE. Compatibility:iPhone XS Max (6.5"). The magnetic ring mount is not included. And the case will only work with a car mount only. does not work with wireless charging pad. 1 Full Coverage Tempered Glass Screen Protector. Full Coverage Tempered Glass. 1 Tempered Glass Screen Protector. 1 Swivel Holster Belt Clip. Heavy Duty 360 Degree Swivel Holster Clip. 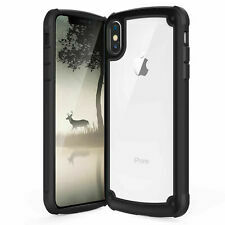 1 Rugged Layered Protection Case. 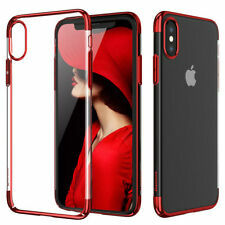 Poetic® For Apple iPhone XS MAX 2018 Clear Soft TPU Case [Lumos] "Ultra-Thin"
Case-Mate Protection Collection Case for IPhone XS MAX 6.5"
OEM Authentic Soft Silicone Case Cover For Apple iPhone Xs MAX ( Black) sealed.